Very quickly, let’s define a click track. 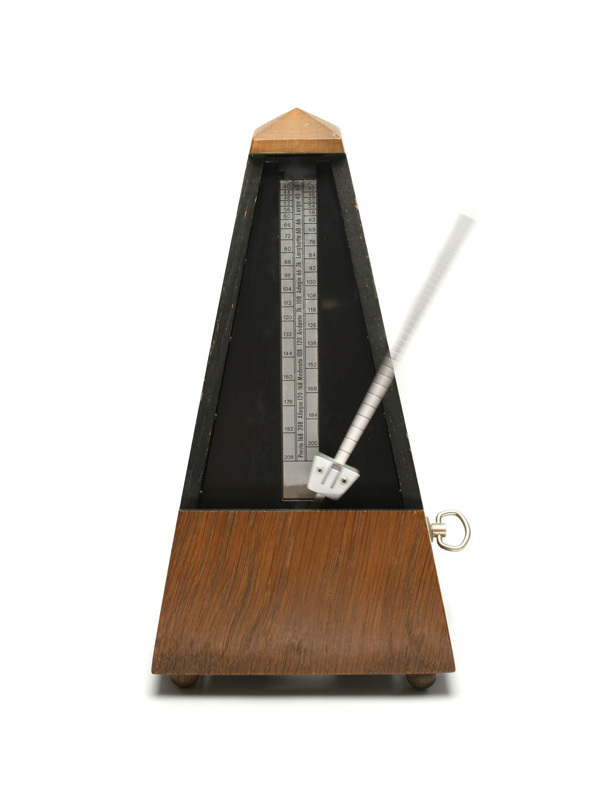 It’s nothing more than a metronome, a steady “sound” that plays at an exact speed, measured in bpm (beats per minute). Most DAWs have the ability to create a click track, which normally has a fairly boring “tick…tick…tick…” sound. Whether you use the boring sound or a more complex drum loop, the part that matters is that the entire song/session is record at the same tempo. Do you ever play music live? I do regularly. It’s amazing to me how when I’m playing a song on stage, the tempo can feel absolutely perfect. However, when I go back and listen to the recording, I realize that I was playing the song WAY too fast. All the excitement of playing live tends to make me speed up and play too fast. I would do the same thing in the studio, too. A click track lets me establish the correct tempo, and ensure that all the takes are recorded at that tempo, rather than too fast. Do you want to use all sorts of loops in your song? Do you want to be able to copy and paste a performance from one section of the song to another? For example, sometimes I’ll take a guitar part from the second chorus and move it over to the first chorus. Without the click track, there’s no way the different sections of the song would be at the same tempo. Using a click track essentially lets you record everything to a grid. 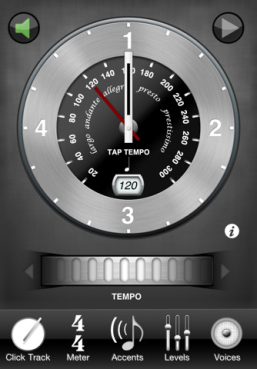 Once it’s recorded, it can be moved around without worrying about tempo changes. This can open the door to all sorts of creative options. When you have that very first tracking session for a song — whether it’s drums, guitars, piano, whatever — you typically want to record multiple takes of each part, right? That’s what I do. I’ll record 3-5 full takes of the acoustic guitar, then I’ll go in and comp together the best parts of each take into one master comp track. Now imagine that you didn’t record to a click track. Suddenly multiple takes are out of the question. You can’t use the chorus from take 2 and the verse from take 3, because they will inevitably be at slightly different tempos. If you’re multi-track recording a full band, it’s even more imperative to use a click track. You could have the band record 5 full takes of the song, then you have the luxury of using the bass player’s 3rd take, the drummers 5th take, and the guitarist’s 2nd take in your final mix — all because they were all recorded at exactly the same tempo. There are certainly no rules in recording, but I almost always use a click track, because of the flexibility it offers after-the-fact. All content on this web site © 2015 Redlight Records, Inc. All rights reserved. Unauthorized duplication in any form is strictly prohibited.